Alan Turing is the genius British mathematician who helped save millions of lives by breaking the German naval Enigma code during World War II. He also was the visionary scientist who gave birth to the computer age, pioneered artificial intelligence, and was the first to investigate the mathematical underpinnings of the living world. Turing is one of the great original thinkers of the 20th century who foresaw the digital world in which we now live. In the eyes of many scientists today, Turing sits alongside Isaac Newton, Albert Einstein, and Charles Darwin at the table of scientific greats. Instead of recognition for his genius, Alan Turing was driven to a terrible despair and early death – by the nation he had done so much to save. 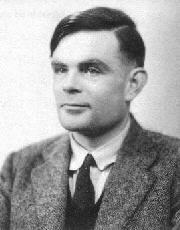 Turing ended up being treated as a common criminal, simply for being homosexual at a time when it was illegal. In 1952, he was convicted of “gross indecency” with another man and was forced to undergo so-called ‘organo-therapy’ or chemical castration. Two years later, he killed himself with cyanide at age 41. In a way , like the cowards of the first world war..
Apple founders Steve Jobs and Steve Wozniak were said to have based their famous logo on Turing’s deadly apple - a proud legacy that will continue regardless of how the establishment views him. In June 1954, he decided to imitate his favourite film, Walt Disney’s Snow White - which he had watched seven times - and fatally bit into an apple coated with cyanide.